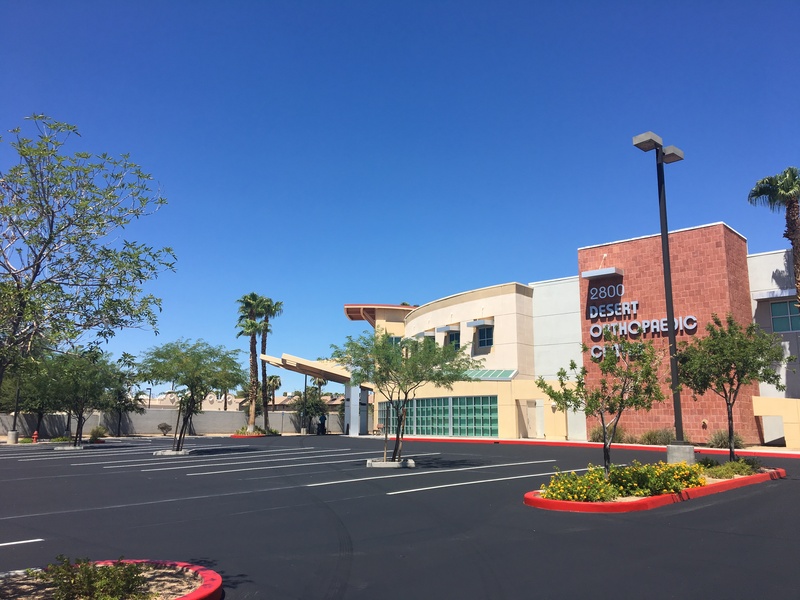 Preferred Concrete Contracting offers the highest quality asphalt and concrete services in Las Vegas, Nevada and its surrounding municipalities. 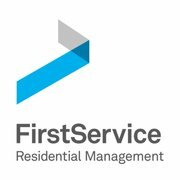 Our mission is to build a relationship with all of our clients through trust and quality work. From start to finish, we pride ourselves on using precision and paying close attention to every detail of your projects. 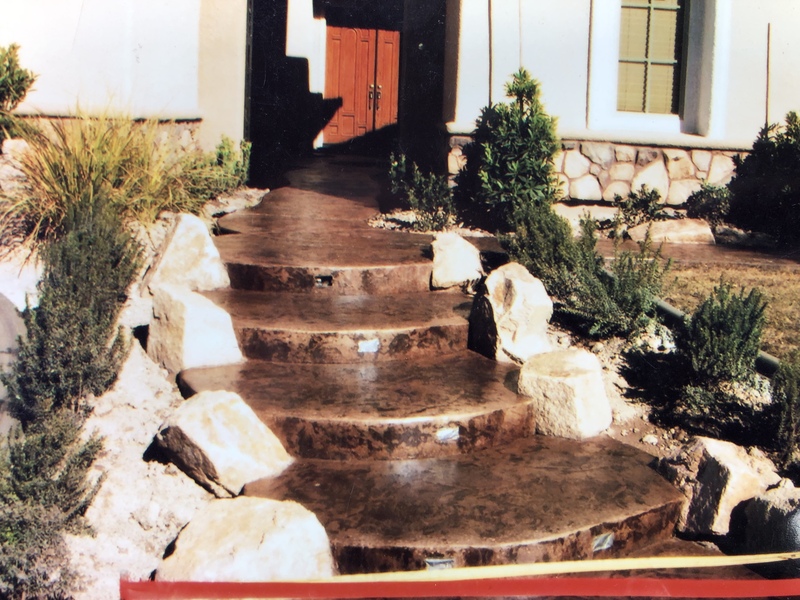 Preferred Concrete Contracting was establish in 1999. 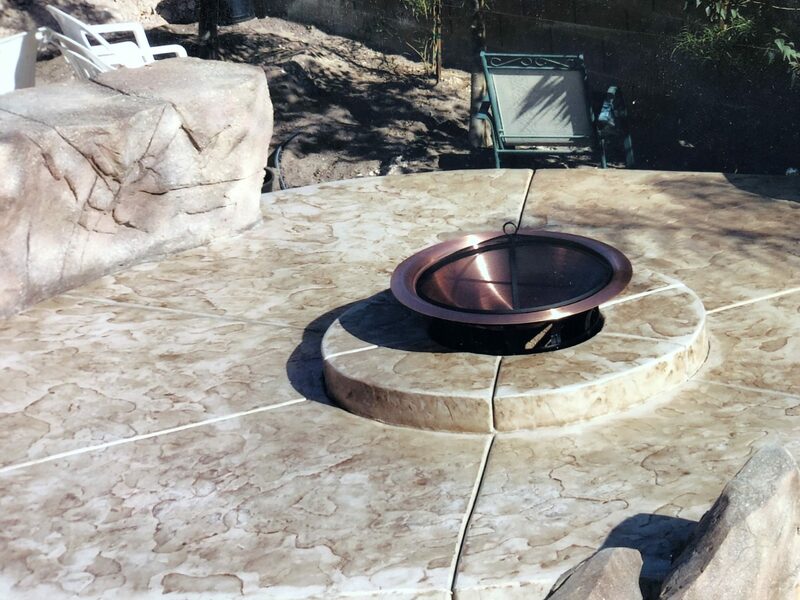 We started out as a small concrete contractor with 5 employees constructing custom patios, pools, and backyards. Our clientele evolved from homeowners to property managers, general contractors and commercial investors/owners. 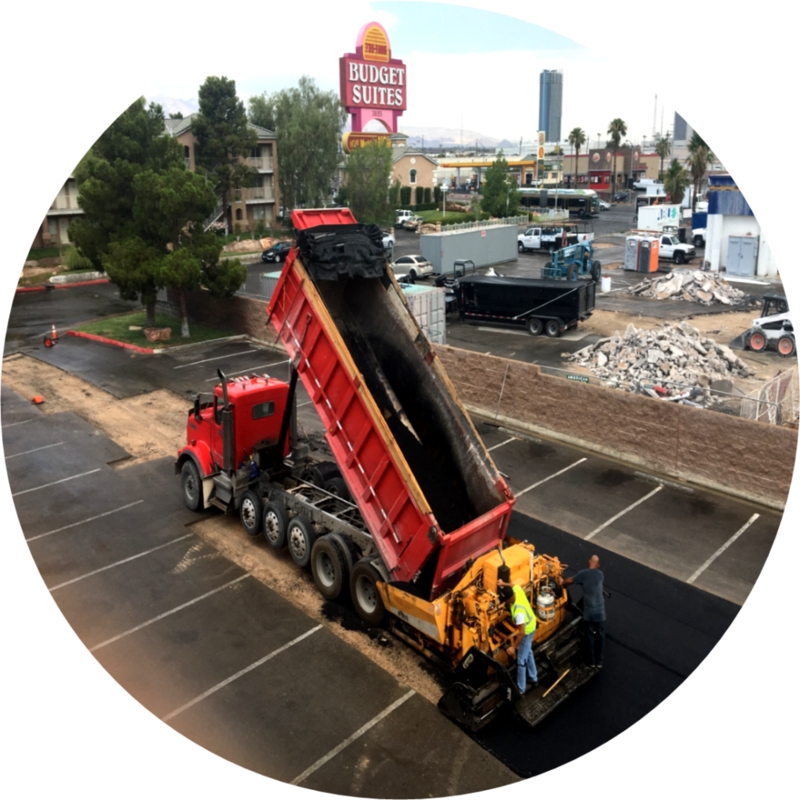 With the wave of new clients, we began being asked numerous times if we provided any asphalt paving and roadway services. As such, we expanded our services to meet the needs of our clients. 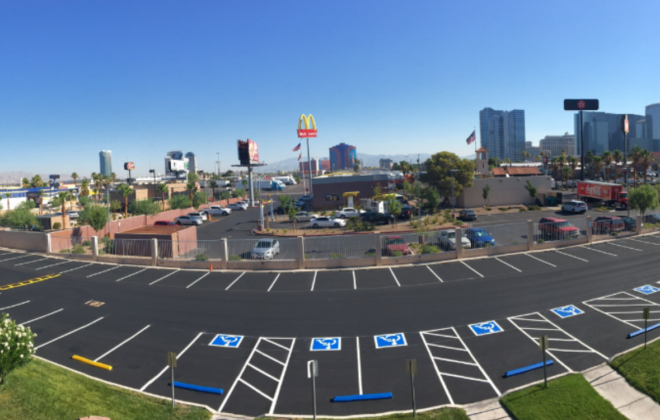 Now, Preferred Concrete Contracting is one of Las Vegas most trusted asphalt and concrete vendors. 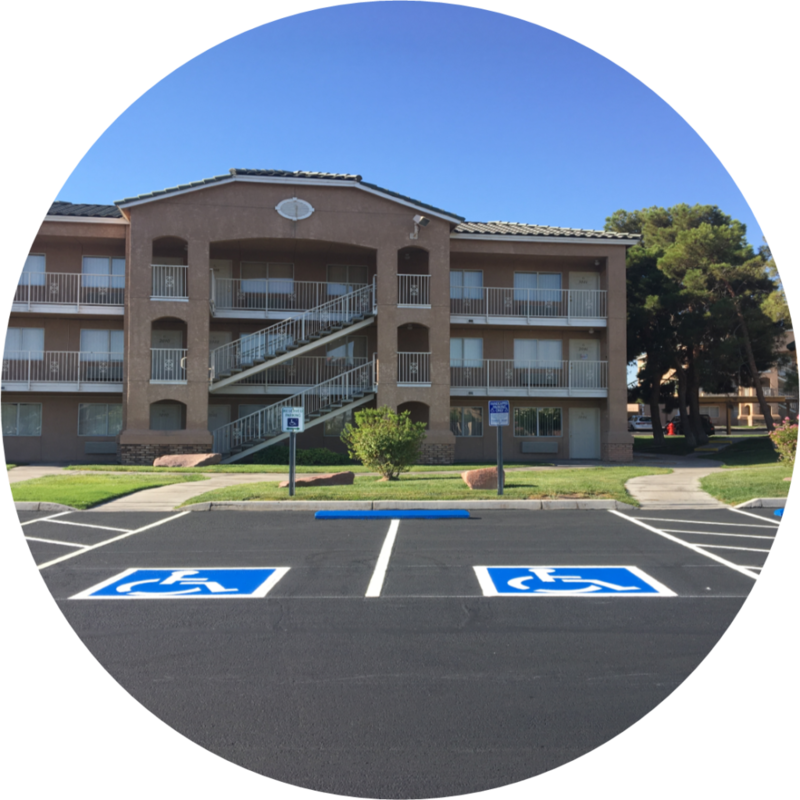 According to federal and local standards, there are numerous ways to design and layout handicap parking for your properties. Preferred Concrete Contracting specializes in asphalt paving for both new construction and reconstruction of existing roadways. Our asphalt crews have the experience and knowledge required to pave beyond your expectations and get the job done right the first time around! When it comes to repairing asphalt, removing and replacing the damaged areas/roads might come at an expensive cost; not foreseen in annual budgets. Preferred Concrete Contracting has you covered! There are numerous options to fixing your pavement at a price that meets your immediate budgets. 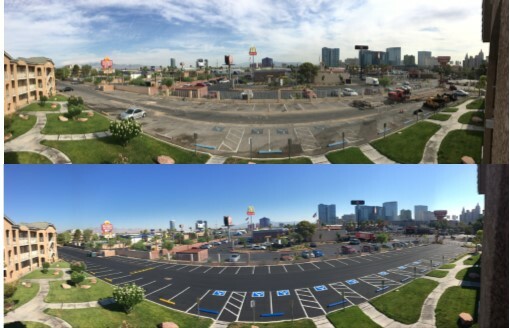 Asphalt Overlays provide you with an +1.5" layer of new asphalt on top of the existing damaged roadways at almost half the price of completely removing and replacing the existing roadways. Often times, there may only be sections of your pavement that need to be replaced. As such, let us inspect your roads and provide you with a price to repair potholes, excessively cracked, eroded, sunken and damaged asphalt. 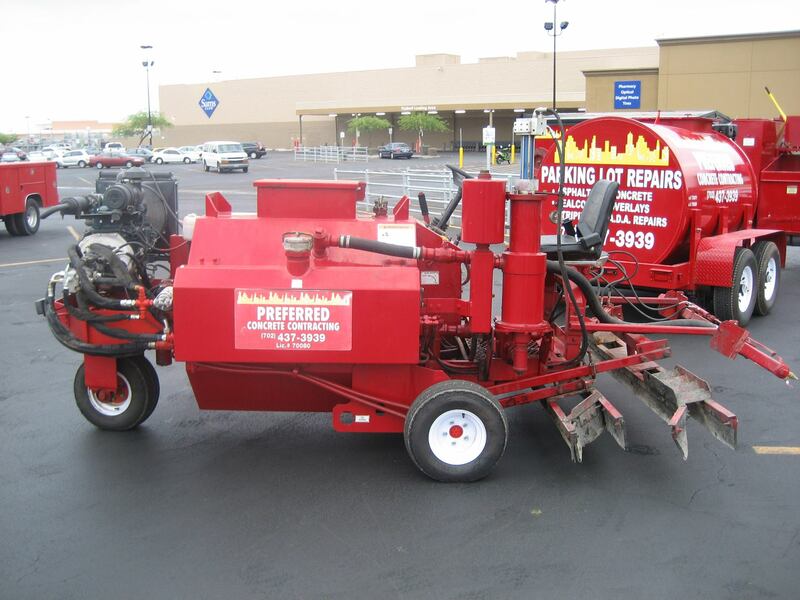 Minor repairs can preserve the surrounding asphalt and rejuvenate the integrity of your pavement as a whole. 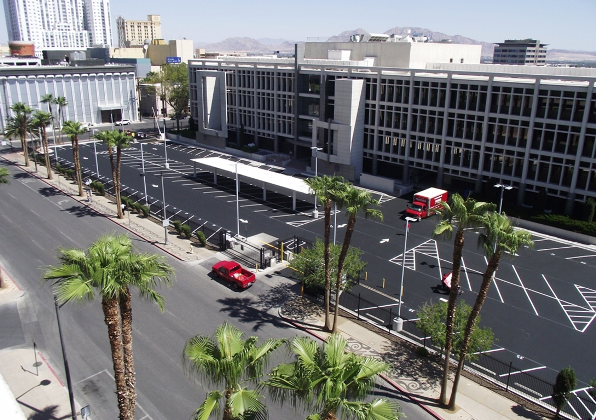 Asphalt sealcoating is the most crucial means of preserving and protecting your asphaltic pavement. 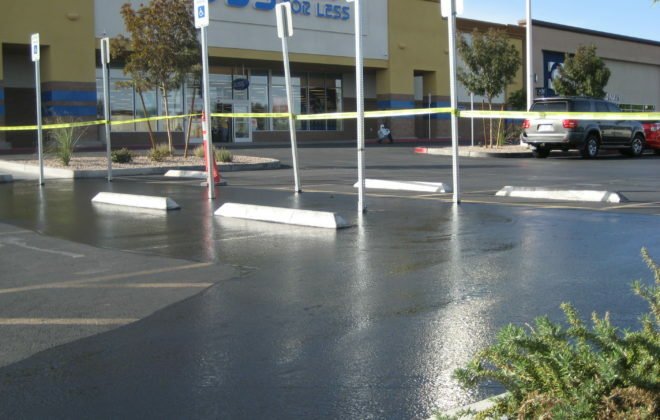 Seal coat is an emulsified liquid applied over the surface of asphalt to protect it from environmental conditions such as: oxidation from the sun, erosion from running water, fisures/cracking from constant changing temperatures. 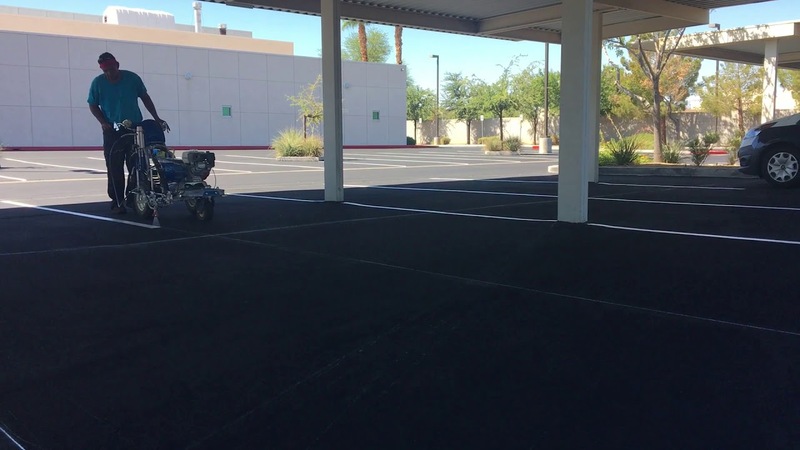 Ultimately; with a proper maintenance and preservation schedule, sealcoat will extend the life of your asphalt. 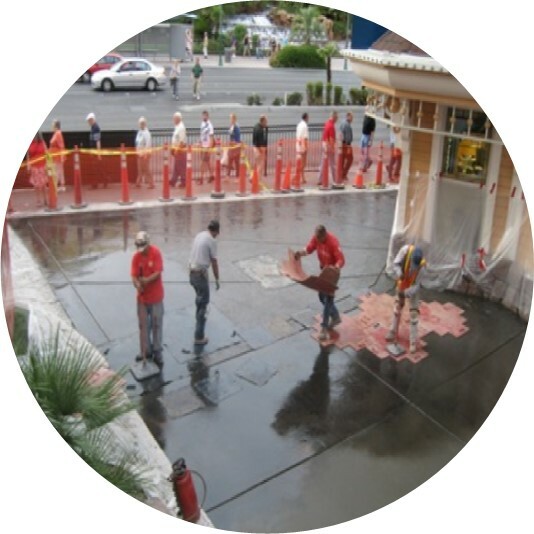 Attention to detail is one of most key working ethics at Preferred Concrete Contracting. 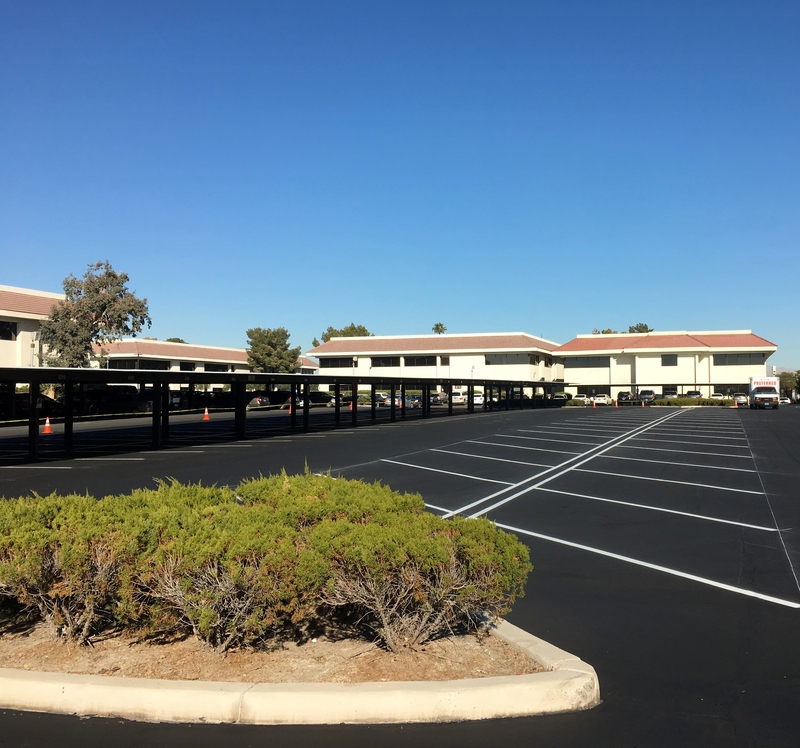 Not only can you trust us to provide you with the best asphalt and concrete services but we proudly offer top notch striping and signage installation services. The small things really count when completing any project. 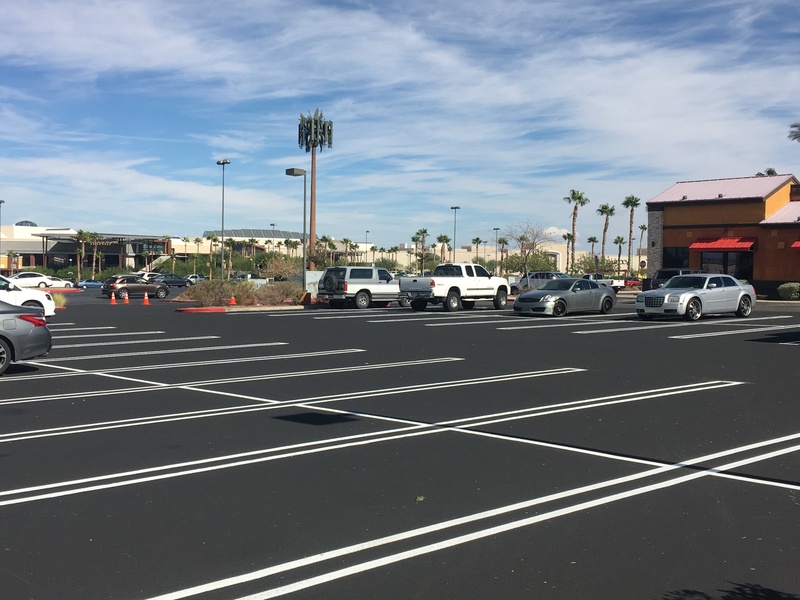 Striping and signage generally are the last items on any asphalt project, and though they account for a small fraction of the overall work, it is no less important and requires precision. Let Preferred Concrete Contracting bring precision and perfection to every square inch of your asphalt projects, from start to finish! Its the small things that count! The smallest crack in asphaltic pavement can slowly diminish your roadways by allowing water to penetrate beneath the asphalt; this causes a void beneath the surfaces and leads to sunken asphalt and ... more cracks . 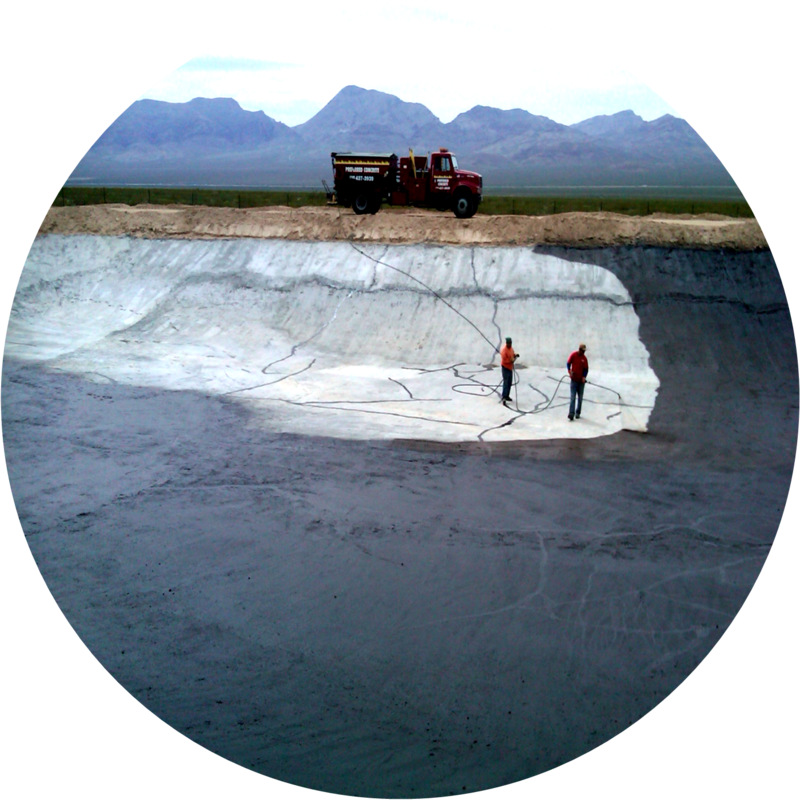 Preferred Concrete Contracting offers asphalt crack filling (sealing), as it is one of the few key components in asphalt pavement preservation. Throughout the last decade, the Fire Department has began issuing citations for speed bumps throughout the valley. These speed bumps have been declared to damage chassis on vehicles and more importantly increase the response time of emergency vehicles and personnel. As such, Preferred Concrete Contracting is proud to offer speed bump removal for all of your properties. In addition to the removal of speed bumps we also offer speed hump installation, which allows for your properties to have a speed hump approved by the Fire Department.